In our new series Coffee Icon of the Month, we are focusing on true coffee champions. 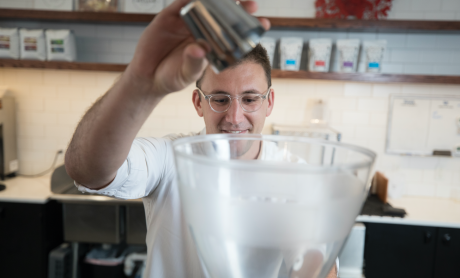 They could be a pioneer in production, a celebrated coffee connoisseur, or simply someone who has consistently demonstrated their passion for the magic bean. Our inaugural Coffee Icon is the novelist, essayist and environmental activist, Margaret Atwood. The celebrated Canadian writer has won numerous awards, including the prestigious Arthur C. Clarke Award and Prince of Asturias Award for Literature. Atwood’s work has been in the spotlight this year with a timely, multi Emmy-winning adaptation of her classic dystopian 1985 novel, The Handmaid’s Tale. While most people are probably aware of Margaret Atwood’s powerful writing, many may not know that she is also an avid coffee lover—and, in fact, a coffee practitioner. In 2012, Atwood teamed up with Balzac’s Coffee Roasters to make her own Bird Friendly coffee blend. The goal of their collaboration was to help promote the protection and conservation of bird populations in coffee-growing regions around the world, while also raising funds to support Canada’s Pelee Island Bird Observatory. The project started with Atwood’s 2009 novel The Year of the Flood —part of the MaddAddam trilogy—which chronicles a group of survivors following a man-made environmental disaster. The book features a fictional coffee company, the Happicuppa Corp, which, it could be said, resembles some of the larger, less-ethical coffee corporations in the real world. The trilogy and follow-up documentary, In the Wake of the Flood, demonstrated Atwood’s deep belief in environmentalism as well as her interest in coffee. Following the doc’s release, Atwood asked the team at Balzac’s to come up with a blend that reflected the same level of passion for the planet. Atwood’s signature Bird Friendly Coffee is made from 100% organic Arabica beans. The coffee plants are cultivated using the ‘shade grown process.’ This technique uses the canopied forests to provide a natural sanctuary for migratory birds. The shade-grown process allows the beans to ripen more slowly, resulting in a richer, more complex flavour. The forests also provide nutrients for the coffee plants, rendering chemical fertilizers and herbicides unnecessary to the growing process. Margaret Atwood was once quoted as saying her breakfast consists simply of coffee. When asked why she loves the drink so much, she said this: “I don’t even glance at herbal teas. I go straight for the real, vile coffee. Jitter in a cup. It cheers me up to know… I’ll soon be so tense”. 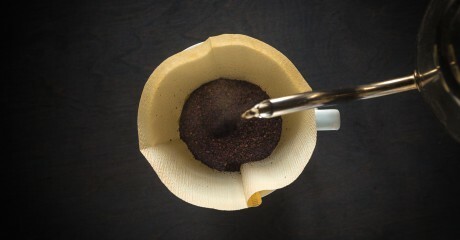 Having tried Atwood’s Bird Friendly Coffee, we can attest that it is anything but “vile”—quite the opposite, in fact, is excellent both in taste and ethics.